When she was 10, Barbara Knickerbocker Beskind wanted to be an inventor. Making her own toys as a child during the Great Depression, Beskind tinkered with things throughout her life. Over the course of her many careers, Beskind tried to retire numerous times, as a major, as an occupational therapist, an author, an artist, but she kept finding inspiration to continue. After watching IDEO founder David Kelley talk about his design firm in an episode of 60 minutes, Beskind wrote a letter offering to volunteer her ideas and opinions to the firm because it so clearly cherished diversity. Beskind was invited in a week later, where she shared her story and earned the title of adviser for a number of products targeted towards the elderly and those with poor eyesight. 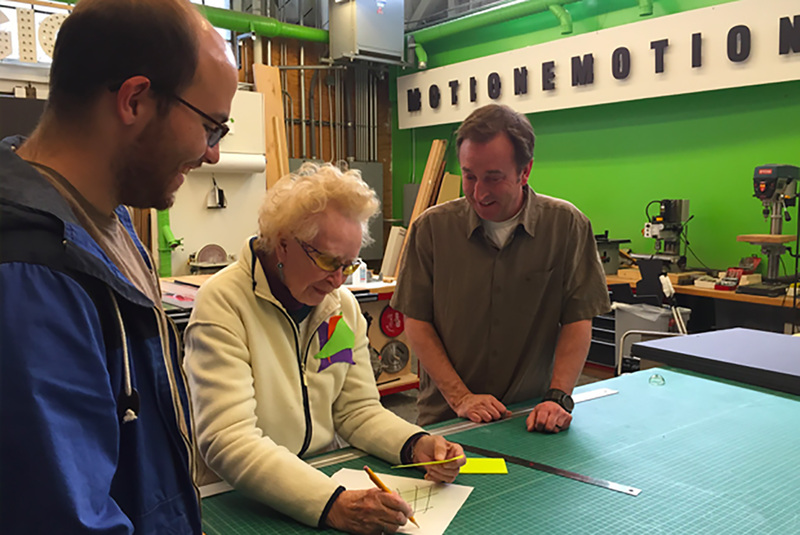 Now an IDEO fellow, Beskind comes into IDEO’s Silicon Valley office every Thursday, contributing to projects alongside co-workers who are six, and even seven decades younger than her. Her expertise and insights at the firm have been hugely impactful, imaginative, and inspirational. “No-one can expect, at a young age, to put themselves in the shoes of an elderly person and sense what it’s like,” said Beskind. “Even as close as I am to the issues of the elderly, I have been amazed, and have learned from people whom I live within my retirement community.” The ever humble and open-minded Beskind is happy to offer her help to the firm, and her friends in the community. For now, Beskind is enjoying creating functional equipment and inventions, and fulfilling her childhood dreams of being an inventor. Click here to find out more.